Unity Health cardiologists pose with the red sofa for the American Heart Associations’ Red Sofa Tour, Dr. Leon Blue, Dr. Bradley Hughes, Dr. Katherine Durham, Dr. David Evans and Dr. Eric Robinson. The American Heart Associations’ Red Sofa Tour, sponsored by BHP, arrived at the Unity Health – White County Medical Center campus first floor recently. The tour’s purpose is to spark conversation around the number one killer of women, heart disease. Heart disease and stroke cause one in three women’s deaths each year, yet many women do not recognize heart disease as their greatest health threat. The Red Sofa Tour provides a fun, lighthearted way to begin this critical, sometimes heavy conversation. Community members are invited to sit down, snap a selfie and post to social media using #hearthealthcentered and #RedSofaTour, sharing the impact of cardiovascular disease in their lives as well as the steps they are taking toward better health. By posting to social media, individuals reach the audiences most important to them – their friends and family – with powerful heart health information and poignant stories of perseverance. Through this engagement, the tour seeks to highlight not only the prevalence of the disease but also that it is preventable and treatable – often with lifestyle changes and working with your doctor to develop a plan for your heart health. Building educated and active communities remains a commitment that BHP has for Central Arkansas. The Unity Health Cardiology Clinic serves the area with an elite team of cardiologists including Dr. Leon Blue, Dr. Katherine Durham, Dr. David Evans, Dr. Bradley Hughes and Dr. Eric Robinson. The team serves patients through the treatment and diagnoses of diseases and conditions of the heart and cardiovascular system. Specialties also include rhythm management and interventional cardiology. “Cardiovascular diseases kill approximately one woman every minute. That is a startling statistic and one that BHP wants to help change through education and awareness,” said Joyce Taylor, Executive Director of the Central Arkansas American Heart Association. To tag or follow the tour on social media, use #RedSofaTour – to get more information about women’s heart health, visit the American Heart Association’s Facebook page, Facebook.com/ahaarkansas or visit www.heart.org. About the American Heart Association: The American Heart Association is devoted to saving people from heart disease and stroke – the two leading causes of death in the world. We team with millions of volunteers to fund innovative research, fight for stronger public health policies, and provide lifesaving tools and information to prevent and treat these diseases. The Dallas-based association is the nation’s oldest and largest voluntary organization dedicated to fighting heart disease and stroke. To learn more or to get involved, call 1-800-AHA-USA1, visit heart.org or call any of our offices around the country. Follow us on Facebook and Twitter. ABOUT BHP: BHP is a leading global resources company. Our purpose is to create long-term shareholder value through the discovery, acquisition, development and marketing of natural resources. BHP’s Petroleum business has exploration, development, production and marketing activities in countries around the world, including significant positions in the deepwater Gulf of Mexico, onshore U.S., Australia, and Trinidad and Tobago. Across our global operations, we are committed to working in ways that are true to Our BHP Charter values of Sustainability, Integrity, Respect, Performance, Simplicity and Accountability. ABOUT UNITY HEALTH – WHITE COUNTY MEDICAL CENTER: As the leading healthcare provider in an eight-county area, Unity Health and its associates strive to improve the quality of health and well-being for the communities it serves through compassionate care. Unity Health is the largest employer in an eight-county area with more than 2,000 associates. The Searcy facility has a combined total of 438 licensed beds and a medical staff of 150 physicians that specialize in various areas of healthcare. 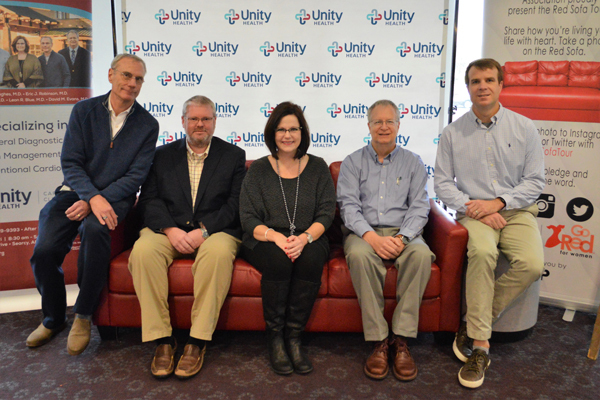 In addition to the White County Medical Center and Specialty Care Campuses, Unity Health in Searcy includes Unity Health – Clarity Health and Wellness, Unity Health – Family Practice Associates, Unity Health – After Hours Clinic, Unity Health - Orthopaedic and Spine Center, Unity Health – Searcy Medical Center and Unity Health – Searcy Medical Center, West, Unity Health – Westside Family Medical Clinic, Unity Health Cardiology Clinic and Unity Health Oncology Clinic.